For fans of Alice Hoffman, Sarah Addison Allen, and Adriana Trigiani, The Witches of Cambridge reveals an astonishing world where the heart’s deepest secrets give way to the magic of life-changing love. Be careful what you wish for. If you’re a witch, you might just get it. Amandine Bisset has always had the power to feel the emotions of those around her. It’s a secret she can share only with her friends—all professors, all witches—when they gather for the Cambridge University Society of Literature and Witchcraft. Amandine treasures these meetings but lately senses the ties among her colleagues beginning to unravel. If only she had her student Noa’s power to hear the innermost thoughts of others, she might know how to patch things up. Unfortunately, Noa regards her gift as a curse. So when a seductive artist claims he can cure her, Noa jumps at the chance, no matter the cost. Noa’s not the only witch who’s in over her head. Mathematics professor Kat has a serious case of unrequited love but refuses to cast spells to win anyone’s heart. 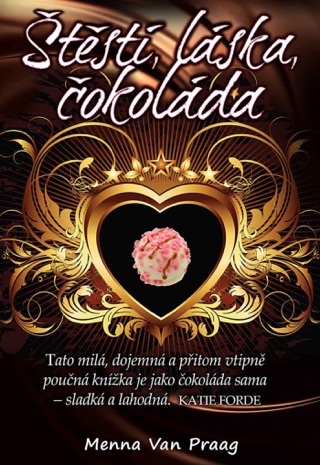 Kat’s sister, Cosima, is not above using magic to get what she wants, sprinkling pastries in her bakery with equal parts sugar and enchantment. But when Cosima sets her sights on Kat’s crush, she conjures up a dangerous love triangle. 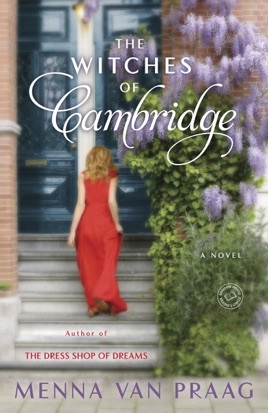 The Witches of Cambridge by Menna Van Praag is a delightful and enchanting novel! Amandine Bisset is an empath. She can feel the emotions of other people. She is happy in her life with her husband, Eliot Walker and their twin boys. But recently Eliot has been acting oddly. Is he having an affair? Amandine is afraid to ask but wants to find out. Noa Sparrow is a human lie detector and dislikes it intensely. Noa can tell a person’s secrets upon meeting them and cannot help but spilling them out (she has tried to hold them in but it is impossible). Noa is studying History of Art at Magdalene College in Cambridge where Amandine teaches (ends up her advisor). One day Noa meets Santiago Costa who states he can help Noa. He can take away her gift. Noa finally gets her wish, but will she be happy? Cosima Rubens is wonderful baker. She has a café with magical pastries. More than anything else in the world, Cosima wants to have a child. Unfortunately, she has a pre-existing condition. Cosima could die if she gets pregnant. Then her husband, Tommy cheats on her and gets the woman pregnant. What will Cosima do to make her dreams come true? Kat is a math professor and a witch. She casts spells with herbs. Kat has been in love George Bennett for many years (he is oblivious). He is a shy professor and friend to Kat. He also frequently visits Cosima’s café. What happens to George when a spell goes awry? Change is in the air for these witches. Read The Witches of Cambridge to find out what happens! The Witches of Cambridge was a charming novel. I just sat down and read it straight through (I was not pleasant when interrupted). The only thing that bothered me were the abrupt transitions between scenes (not chapters). It led to some confusion at first when one minute you are with Kat and then the next sentence Noa. Otherwise, I was riveted to the pages of this book. I give The Witches of Cambridge 5 out of 5 stars. 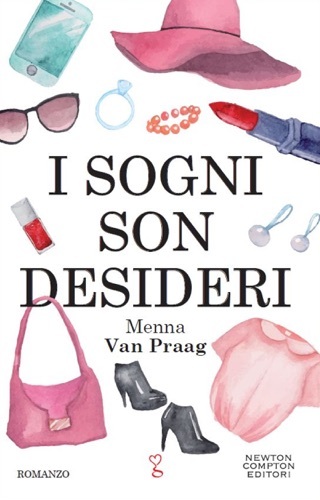 I love Menna Van Praag’s writing style (I have read all of her books). It is so easy to read and entrancing! 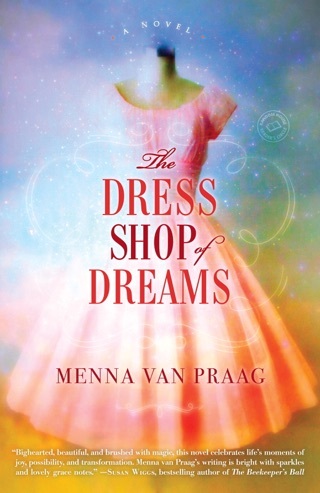 I cannot wait for Menna Van Praag’s next novel. I received a complimentary copy of The Witches of Cambridge in exchange for an honest review. The Witches of Cambridge, by Menna van Praag, is the story of a select group of educated elite with some very special powers. However, the powers vary from one to another, some strong, some weaker. In this grouping we find sisters Kat and Cosima, mother and daughter Heloise and Amandine, colleague George, and student Noa. Despite each one's special powers, each is struggling with something, and the things they struggle with all relate to love. Heloise is engulfed by the loss of her husband, Francois. While it has been two years she is still dealing with extreme grief and guilt. Does life still hold a future for her or should she succumb to the enticement of suicide.Amandine is overcome by the change in her husband, Eliot. 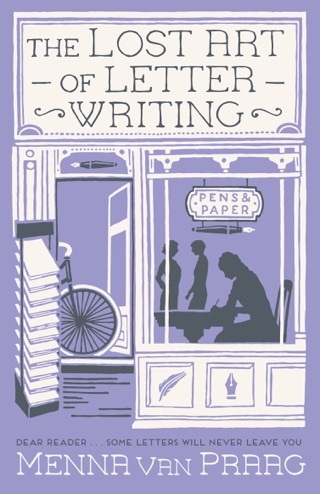 Ever since he received a strange letter he is a different man, a man she suspects is having an affair. Kat is a gifted mathematics professor with a busy life. But it is devoid of the love she seeks. Her sister, Cosima, appeared to have it all, her own business, a wonderful husband, who unfortunately has not always been faithful and is now leaving to be with the woman he impregnated, when it is Cosima that longs for motherhood. George is also a professor with some deep secrets of his own. And Noa sees through to people's secrets and cannot restrain from blurting them out to the dismay of all concerned. 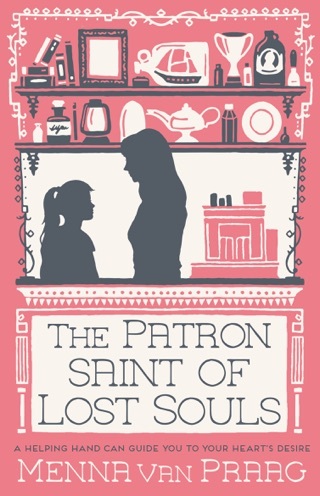 As they support one another through their Cambridge University Society of Literature and Witchcraft, they unite using their magic to overcome dark forces of loss, disappointment, and black magic. 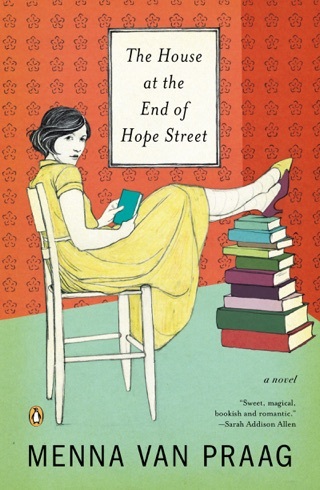 Once more Ms. van Praag has woven a story combining human nature and magical forces in a touching tale. If you are enticed by adult fairy tales, then this book is for you.